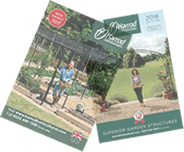 With over half of the adult population in the UK feeding birds in their garden is it any surprise that Harrod Horticultural has designed two new beautiful bird feeding stations? 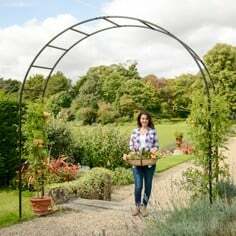 Harrod stations are available in 2 different styles – Arched Topped and Crown Topped and both add a real touch of class to any garden. 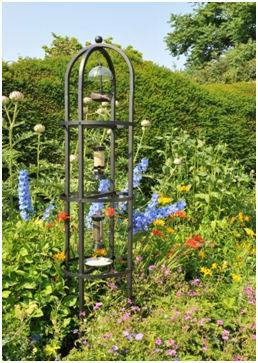 Both Harrod feeding stations stand an impressive 2m high and are made using strong 1 inch square steel, galvanised inside and out and powder coated matt black for a long lasting stylish finish with a 10 YEAR GUARANTEE. 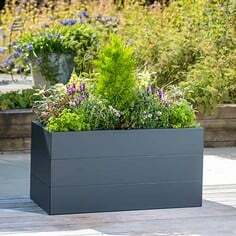 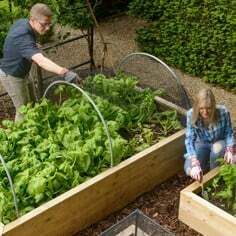 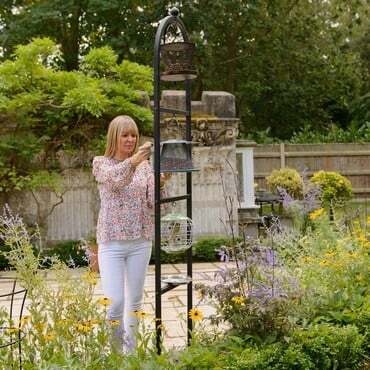 The feeding stations will add a real focal point to any garden and can hold a maximum of 3 feeders in addition to a seed catching tray which can be positioned on any of the horizontal bars. 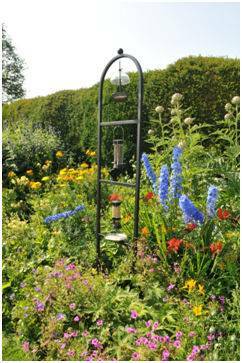 It also features Squirrel proof fixing hooks to stop feeders being thrown down onto the floor too. 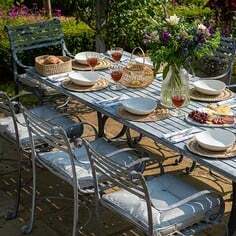 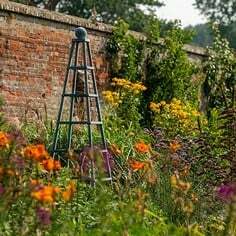 So why not make your Bird Feeding Stations a thing of beauty by introducing these truly stately and attractive Feeding Stations into your garden. 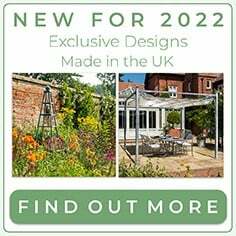 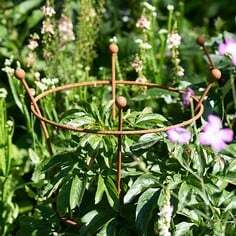 With the designs inspired by the RHS endorsed Harrod Obelisks range, the Bird Feeding stations can double up as an elegant plant support for a pretty display of wisteria, clematis or perhaps climbing roses too.